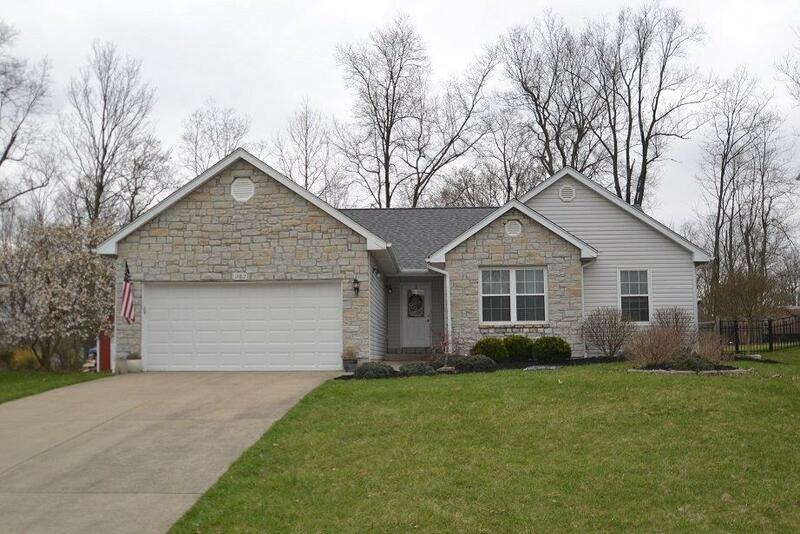 Great ranch with open concept, split floor plan & fenced level yard in Hidden Valley. Cathedral ceilings, fireplace, 1st fl laundry, 3 Full Baths, Open kitchen w/breakfast area, counter bar. Finished LL w/Fam Rm, huge rec room, bedroom (window but no ingress/egress) and full bath. Home Warranty.